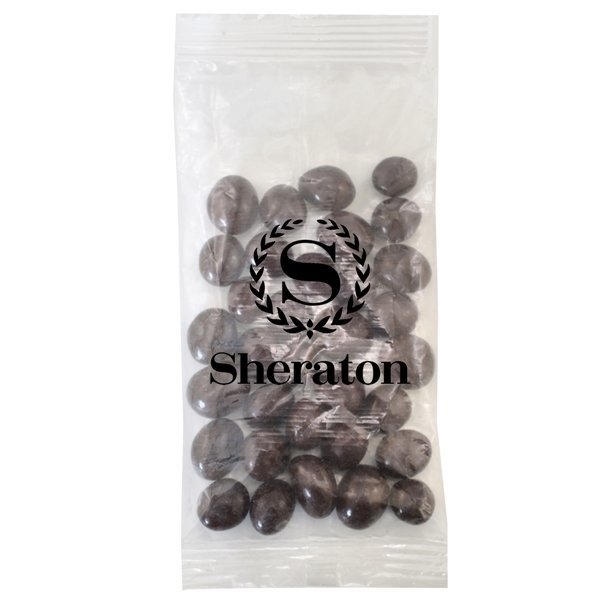 Large size bountiful bag promo pack with Chocolate Espresso Beans. It looked exactly as I expected. This was a great product to target our customers. They were all pleased to receive it. I was extremely impressed with the quality of the imprint. wasn't quite as big as I expected but fine.